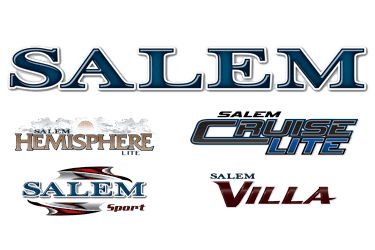 Luxury interiors at an affordable price combined with innovative design for families of all sizes distinguish the 2016 Forest River Salem model travel trailers, fifth wheels and destination trailers from the competition. Pop-up Campers and Expandable trailers are comfortable, lightweight, affordable family options for camping; one is a step up from tent camping, the other a step closer to a full-featured RV. Affordable pop-up campers have been a popular camping option since the 1950s because many are light enough to be towed by a large car or mini van and spacious enough when fully opened to sleep a family in high and dry comfort. 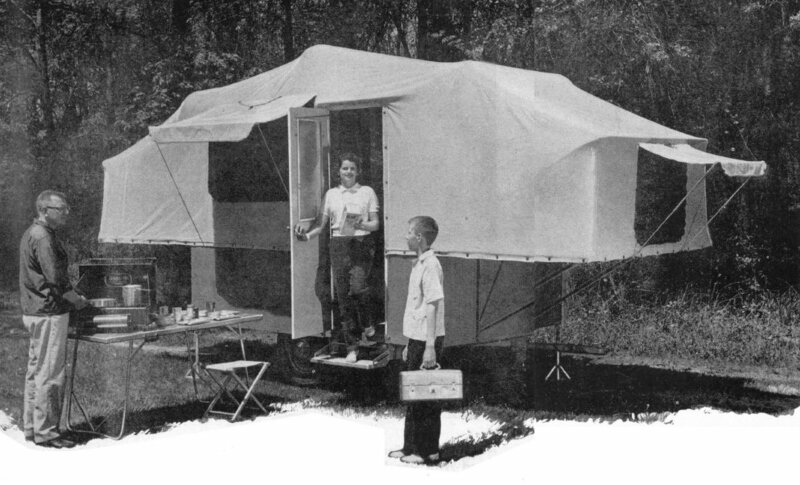 Today’s pop-up campers can be outfitted with the bare necessities or loaded with luxuries, but the basics haven’t changed much: Pop-up campers fold down into a box that’s about four feet deep, built on a single axle trailer that ranges from about 8 to 18 feet long. The beds, or bunks, slide in when the pop-up folds down and pull out from either end when it’s time to make camp. The hard top cranks up manually or electrically, carrying the attached tent with it. A simple brace and pole system holds the tent up over the bunks. The basics for life are loaded into the box dimensions of a pop-up camper. In smaller models that includes a sink and cabinet, dinette that converts to another sleeping area, credenza or sofa that doubles as storage and a place to cook with a camp-style stove. A tiny bathroom, built-in-stove and a slide out for the dinette may be included in larger models. Most pop-up campers will include the option to cook outside and some come equipped with an outdoor shower. If you love tent-style camping – cooking and relaxing in the outdoors — but not sleeping on the hard ground, a pop-up camper is a great choice. In good weather, the canvas windows unzip all around the camper, inviting cool breezes to flow through screens and around the camper. When the weather turns, zip the camper up to stay dry and squeeze the family in around the dinette for games and conversation. For those who crave more home-like comfort, think again. Most pop-ups do not feature residential style mattress and home-like appliances. Even the most deluxe pop-up will have a limited bathroom and many won’t have one at all. Because everything, including the kitchen sink, fits into the box, there isn’t room much room left for walking around; more than two people standing at the same time can be a challenge. While there’s no RV easier to tow than a pop-up camper, few require more labor to prep, set up and take down. Because everything pushes in and folds down, stocking and prepping your camper means cranking it up and pulling out the bunks. Taking down these campers requires you to take down support poles, zip-up and fold down tent tops, bring everything inside down to floor level and push in the bunks — then crank down the tent when it’s time to pack up. The whole process repeats when it’s time to unpack. If the trailer was folded down in the rain or with the early morning dew still on the tent, fully extend the camper and keep it open until the tent top is completely dry or risk mildew in your camper. When your camping life expands to longer trips and maybe a couple more bodies, consider an expandable trailer for more of the comforts of an RV, while retaining the joys of sleeping under a tent top. Expandable travel trailers generally boast aluminum frame construction to keep down weight and can range from 14 to more than 20 feet. The unloaded vehicle weight generally ranges from 2,500 to 5,000 pounds making expandable trailers towable by some SUV and lighter-weight trucks. While not as compact as a pop-up camper, expandable trailers are among the lightest bumper-towed RVs. 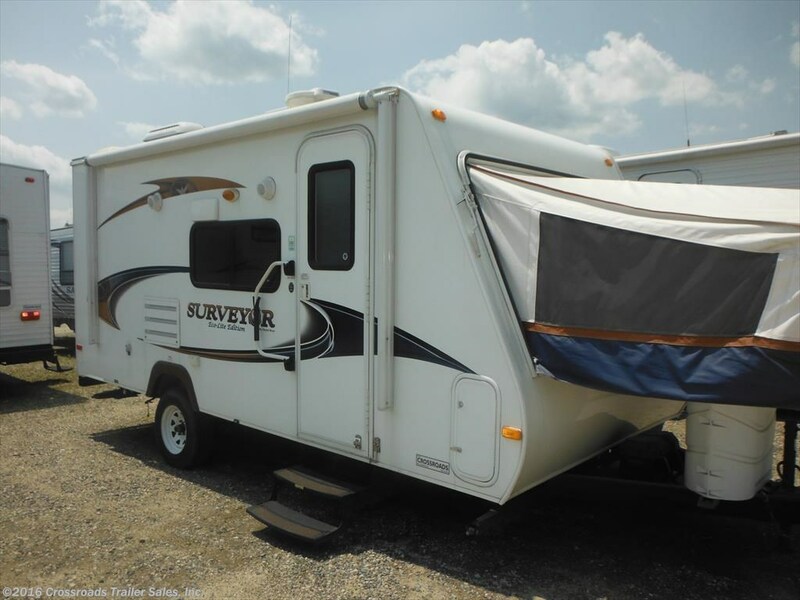 An expandable camper is the perfect choice for those who crave more comfort and home-like convenience, but lack the “oomph” of a heavy-duty towing vehicle. Space-efficient and lightweight expandable campers share looks with small, standard hard-sided, bumper-towed trailers, until it’s time to set-up. To expand the camper’s sleeping capacity, all you have to do is park and level and lower tent-covered bunks on one or both ends. 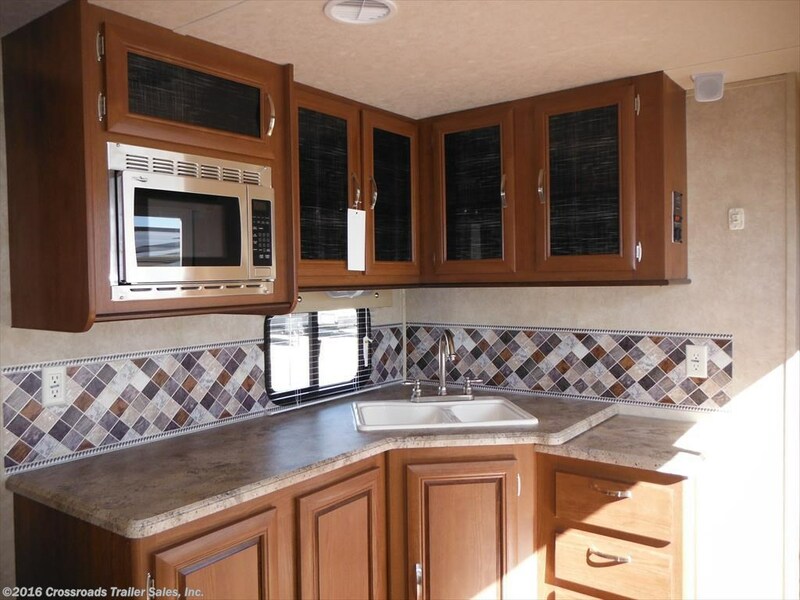 Expandable trailers can come equipped with many of the amenities that Rvers expect, including small entertainment centers, complete bathrooms and indoor-style kitchens. 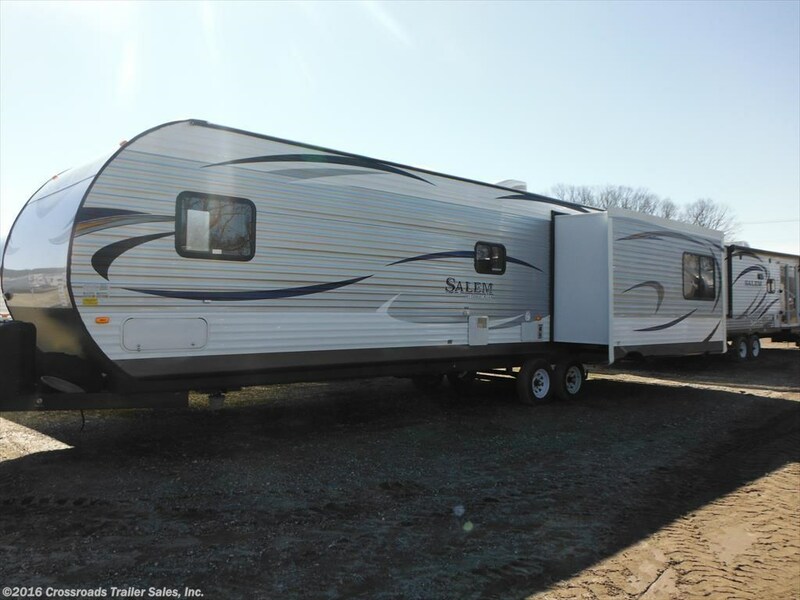 For those considering a small hard-sided trailer, but have concerns about the small footprint, expandable trailers are worth a look. With the beds external to the hard-sided body, the entire footprint of the expandable travel trailer is dedicated to living space, creating room for comfortable seating and moving about. With no beds pushed into the hard-sided trailer or top to crank up, the camper can be prepped before your trip without opening the bunks. Because the bunks fold onto the walls of the camper, rather than pushing in, there’s also no need to open the beds to take shelter. This is known as “turtling” and any camper who has put up or taken down a pop-up in a driving rain storm, understands its value. Most expandable trailers will include a dinette that converts to a bed, so if bad weather continues into the night, stay warm and dry without the loss of any of the camper’s functionality; a pop-up owner will say it beats sleeping in the tow vehicle or putting up a soggy, drippy tent top. With its merits of space, weight efficiency and comfort, an expandable trailer still brings with it the wide-open feel of tent camping – and the challenges, including condensation and less protection from weather extremes. While not requiring the physical effort of a pop-up camper, it lacks the pull in and park convenience of other trailers. 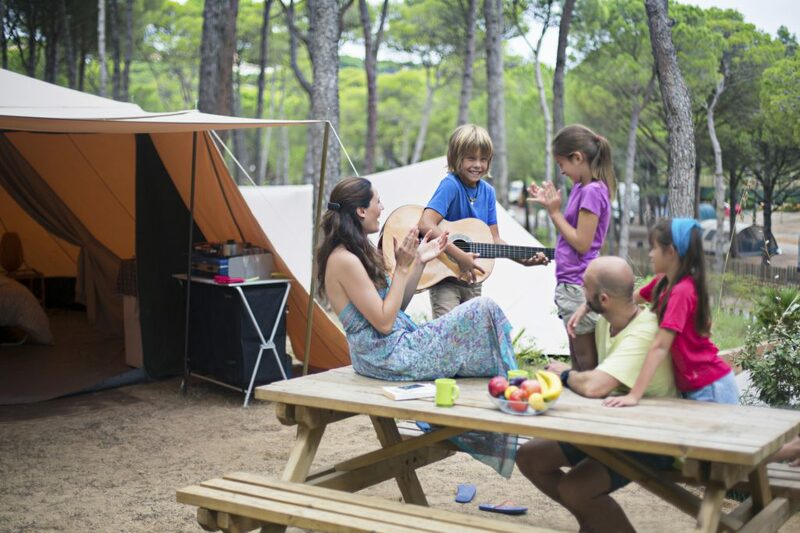 Pop-up campers and expandable travel trailers pack great camping value into small, lightweight packages. Choose the right travel trailer for your family by understanding your own habits and requirements. Know how much weight your vehicle can safely tow; pop-up campers will be lighter with a low profile that does not require special mirrors or extensions. Decide how much work you want to do when you get to camp and evaluate your physical abilities. An expandable travel trailer will be easier to set up than a pop-up, but a standard travel trailer with self-contained beds will beat them both for ease of setup. Pop-up campers are great options for extended weekends and family vacations at a camping resort, but may be the wrong choice for long road trips that require setting up every night, or long-term camping, when the cozy quarters and relative lack of amenities might feel a little too small and spartan. For those who enjoy the sounds of nature and can sleep through the late-night partiers two campsites down, either travel trailer is the right choice. If things that go bump in the night and rustle in the woods are unnerving, consider a standard hard-side trailer. Begin your camping journey with the experts at Crossroads Trailers, who will help you assess your camping needs and show you a selection of the right travel trailers for your next adventure. It’s a beautiful morning at the campground and fresh snowfall has turned the woods into a photographic playground. Before heading out on your winter outdoor photography trek, read these simple preparations and tips to make sure you return home with great photos. No photograph is worth frostbite. 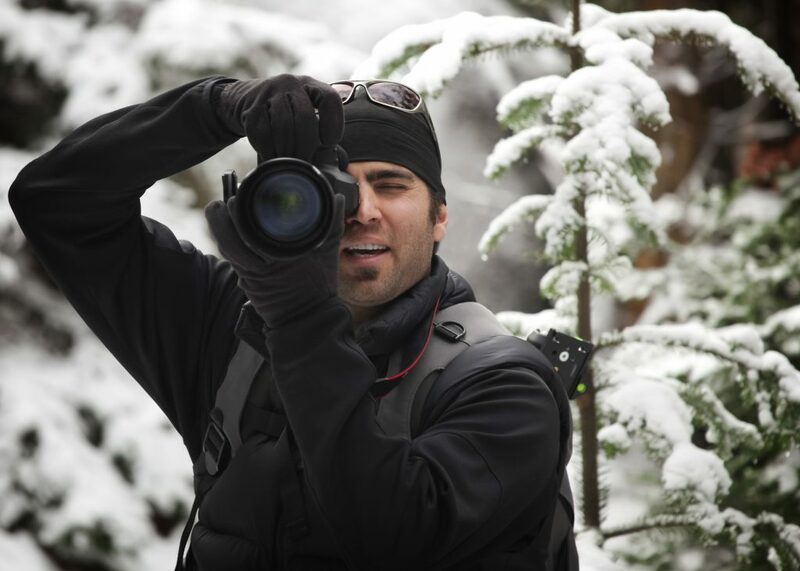 Prepare yourself before heading out on a winter photo expedition. Wear multiple layers of moisture-wicking materials and cover your head. Resist the temptation to go gloveless or wear fingerless gloves. Instead, visit a camera shop and check out the selection of photography-friendly tech-sensory gloves designed to keep your hands warm, while freeing your fingers to work the camera’s controls. Protect your gear and make sure it’s ready for action when you spot that forest creature out in the snowy field. Pack your camera in a waterproof, insulated backpack to keep it warm, dry and safe until you’re ready to shoot. When you take it out, keep it close to your body, preferably under a jacket or scarf. 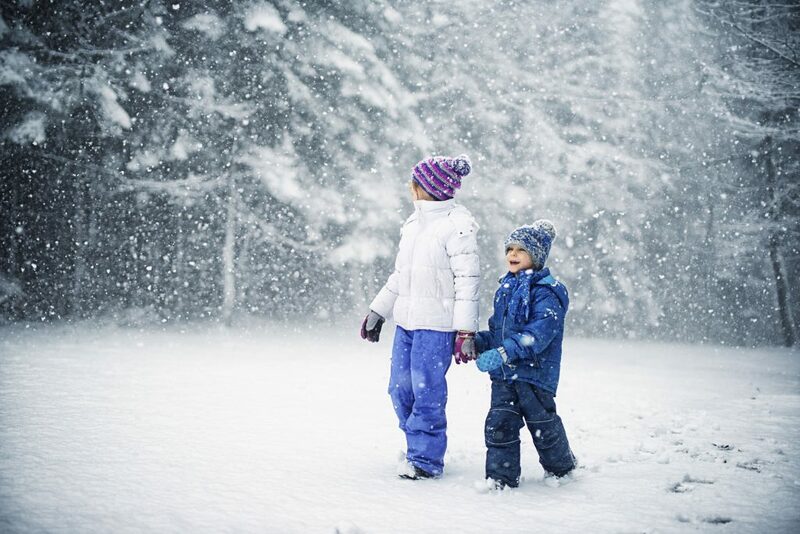 Your camera’s battery will deplete quicker in colder temperatures than warm, so carry a spare – or spares. Keep the spare battery in a pocket close to your body to keep it warm. Avoid condensation on your equipment when you come back to your warm fifth wheel after a cold winter photography safari. While still in the field, wrap your cold camera in an airtight plastic bag so condensation forms on the outside of the bag, rather than on and in your camera equipment. No plastic bag available? Make sure your camera warms up slowly. Sit it on a cold windowsill or unheated, protected porch and gradually move it to a warmer area. 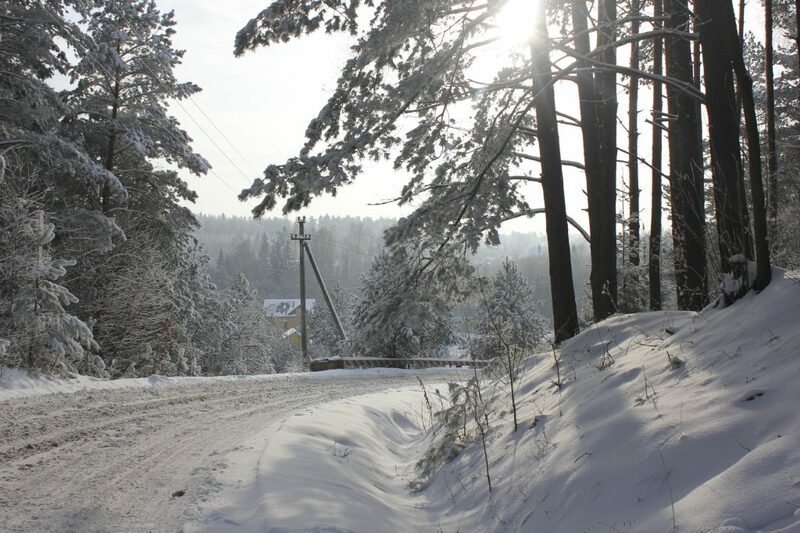 A mostly white, snowy scene on a bright, clear day is a surprisingly difficult photograph to take. Camera meters base their exposure on a neutral, or 18 percent grey tone, so an all-white image may fool your automatic meter, resulting in snow that looks dull and gray. Expose for the brightest area in your frame to make sure you capture the bright whites. If your camera has the option to adjust the exposure compensation, try adjusting it manually to a +1 or +2 to cue the camera that it’s shooting something bright and white. Shutter speed is critical when snow, rain or sleet is coming down. Consider the effect you’re looking for. A slow shutter speed will result in streaks and blurs from the precipitation. A fast shutter speed, 1/250 and above, will result in a clearer, crisper image. If your camera uses interchangeable lenses, consider using a polarizing or UV filter. A polarizing filter will deepen the sky, cut down glare and bring out detail that might otherwise be lost. On a hazy, foggy day, a UV filter will result in clearer, crisper images. Either filter will protect your expensive lens glass from the elements. Add a hood to the end of your lens to block flares of light from bright sun light bouncing off the white surroundings. No matter the season, shooting in the early morning or late afternoon is the right decision, but never more so than in winter. The low angle of the sun results in longer, more dramatic shadows, which can add much needed contrast to your composition. Use the cool quality of the morning light and warm glow of “golden hour” and cut-down on the bright glare of mid-day sun. Now consider color and composition. Without the fresh green sprigs of spring, golden leaves of fall and brilliant blues of summer, winter photography can seem monochromatic. Look for a bit of wildlife, a green branch, a flash of blue or an early spring bulb. Frame your photograph, so that the angles and curves in your image draw the eye to the speck of color for the most dramatic image. If you’re making a winter portrait, consider the final image: do you want a high-key image – one that celebrates shades of white – or a study in contrast? If your subject is dressed in winter whites, turn your attention to the exposed flesh and eyes. The skin tones and highlights in the eyes will become the focal point of your picture. Use a short focal range of 5.6 or below and set your subject at least eight feet in front of the background. The background will become a soft wintery blur while the subject remains in sharp focus. A brightly dressed subject creates natural separation from the background. Look for a “clean” background — a wall of white or a cleared field — so the colorful subject is the standout star of the image. When a person or wildlife is the focal point of your image, shift from metering on the brightest white and take your reading from the flesh or fur. It’s easy to lose track of time when Mother Nature surrounds you in her winter cloak, but no photograph is worth staying out too long or wandering too far afield. The best photograph just may be a tiny slice of nature right outside your door. If you need a safe, comfortable base for your winter photography safaris, visit Crossroads Trailer Sales for a full-selection of four-season towable travel trailers and RVs.